We are thinking that someone has either a mad wife or girlfriend…. If you are missing a couple of mounted deer heads, our office has them secured. 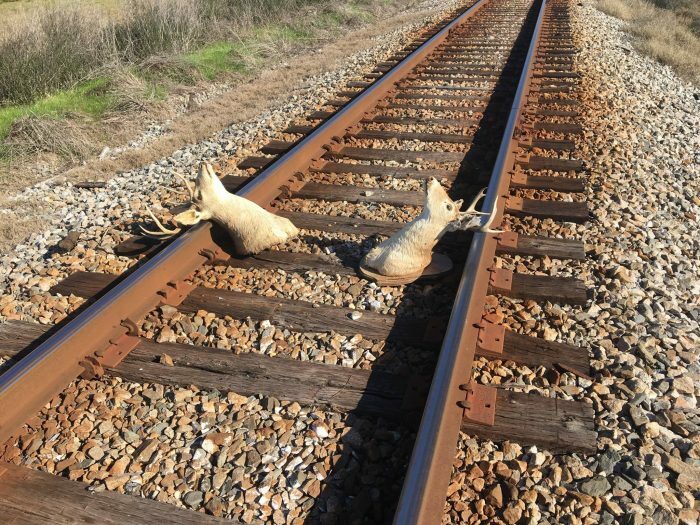 These were recovered of the tracks on Hwy 84 W sorta across from Johnson’s Produce. Well……I’m happy for the owner if they end up getting them back..assuming the person to whom these belong wasn’t the person who put them there? It’s just so hard to tell what people will do these days. Still, this photo makes me uncomfortable.